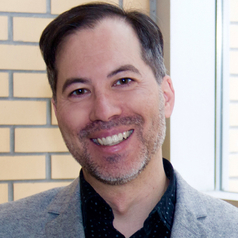 Fuyuki Kurasawa is an Associate Professor in the Department of Sociology at York University, where he holds a York Research Chair in Global Digital Citizenship. He is a Member of the Royal Society of Canada’s College of New Scholars, Artists and Scientists, a Faculty Fellow of Yale University’s Center for Cultural Sociology, as well as a former Fulbright Scholar and Co-Chair of the International Sociological Association’s Research Committee on Sociological Theory. In addition, Kurasawa has been a Visiting Fellow at Cornell, the École des Hautes Études en Sciences Sociales, Harvard, New York University, and Yale. The Globe and Mail newspaper named him on its list of Canadian Young Leaders in 2000, and he regularly analyzes political, social, and technological questions for the Canadian Broadcasting Corporation and Radio-Canada, amongst other media outlets. Kurasawa is the author of The Ethnological Imagination: A Cross-Cultural Critique of Modernity (Minnesota, 2004) The Work of Global Justice: Human Rights as Practices (Cambridge, 2007), and of Perilous Light: On the Visual Economy of Humanitarianism (Chicago, forthcoming), as well as the editor of Interrogating the Social: A Critical Sociology for the 21st Century (Palgrave Macmillan, forthcoming).